Bounce TV's In The Cut Sets Records | New Growth Hair Magazine | We capture the culture of urban barbershops and beauty salons. 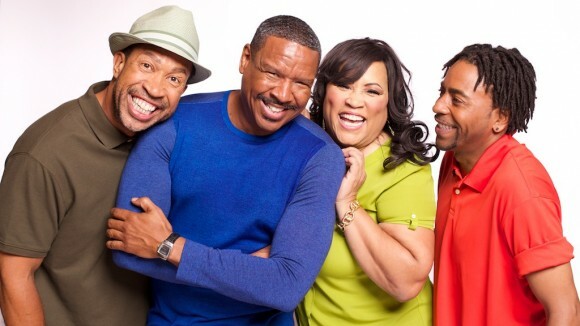 Bounce TV (bouncetv.com), the nation’s first ever over-the-air broadcast television network for African Americans, launched a new original series entitled In The Cut, a half-hour situation comedy created by Bentley Kyle Evans (Family Time, The Jamie Foxx Show, Martin) which aired on August 25th. In The Cut’s premiere broke Bounce TV records by posting the strongest numbers and becoming the number one series premier for the network. In The Cut is demonstrating the significance and influence of the urban barbershop and beauty salon. The show’s stars are connected to urban hair culture and do a great job of accurately portraying what goes on in barbershops and beauty salons across America. In The Cut stars Dorien Wilson (The Parkers, Dream On), Ken Lawson (The Parkers) and also features Jackee Harry (Sister, Sister) and John Marshall Jones (The Smart Guy) along with special guest stars Vanessa Bell Calloway (Shameless), Golden Brooks (Girlfriends), and Chastity Dotson (Single Ladies). 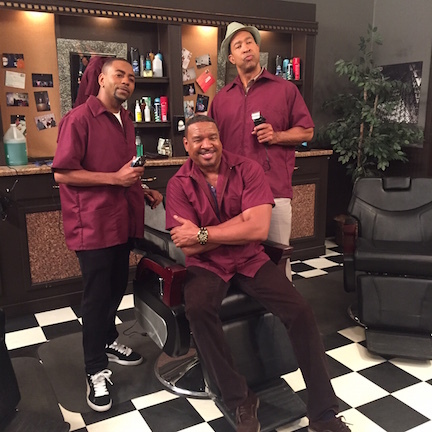 The show centers on Jay Weaver (Dorien Wilson) who owns several businesses in a strip mall in San Diego and spends most of his time working in his barbershop, Jay’s Chop Shop. Jay also co-owns a beauty salon a few doors away, Nadine’s Shop, named after his ex-wife (Jackee Harry) who still runs it. One day, a young man named Kenny Clark (Ken Lawson) shows up out of nowhere claiming to be Jay’s 31, year-old illegitimate son from a short-lived fling. Kenny sticks around and begins to take on a role in the family business as he and Jay start to bond. Jay’s long-time sidekick Clevon “Smitty” Smith (John Marshall Jones) also works at the barber shop and adds to the comedy, as well as the occasional drama, that comes into their lives. The series was created by Bentley Kyle Evans and is produced by Evans alongside partner Trenton Gumbs, both of whom produce the current Bounce TV hit original series Family Time. Evans also previously produced the hit series Martin and The Jamie Foxx Show, as well as collaborated with Gumbs to produce Love That Girl. New episodes of In The Cut air Tuesday nights at 9pm (ET).